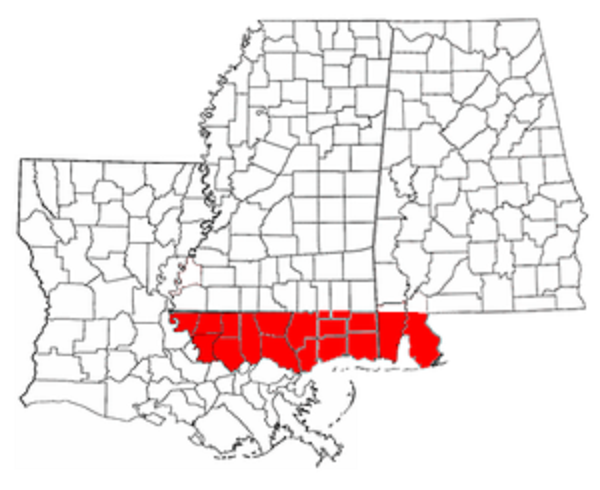 “After English control was extended over this province, the Natchez region and the western part of the present state of Mississippi attracted many settlers. They came from the Atlantic colonies in considerable numbers. 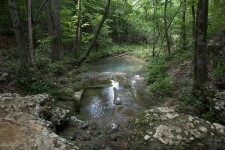 A small German settlement had been made upon the Pascagoola, a river in the south-eastern part of Mississippi. The Mississippi river and its eastern tributaries seemed to be at first the most attractive. From the Atlantic colonies, first from Roanoke in North Carolina, as early as 1764, then from South Carolina, from Georgia, from Virginia, and New Jersey, large numbers came, either in boats down the tributary rivers, or cutting a pathway through the wilderness, and made settlements extending some twenty miles east of the river. Scotch Highlanders came from North Carolina and settled thirty miles east of Natchez. In 1770, and again in 1778, many immigrants came by the way of the Ohio river from New Jersey, and Virginia, and Delaware. Immigrants also began soon to come from Great Britain and the British West Indies. 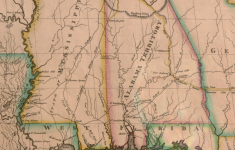 In 1767 a colony of French Protestants, in number two hundred and nine, made a settlement upon the Escambia river north of Pensacola, having received from King George the Third a large grant of land, and having been conveyed across the ocean at the royal expense. They built white cottages among the live oak groves, and erected a church building with one simple village spire. This colony was not long afterward desolated by the yellow fever, that scourge of the tropics. 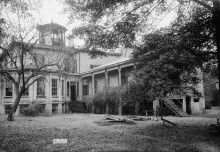 Pensacola, the capital of the province, contained in 1771 about one hundred and eighty houses, which were built of wood. This, as the seat of government, was to become the first place of traffic for the coming settlers of Clarke. The French houses of the wealthy in Mobile were of brick. It is now 1775. The Thirteen United Colonies, containing a population of about “three millions of people,” extending from New Hampshire to Georgia, are entering upon that great conflict with the Mother Country, which is called in history The American Revolution. 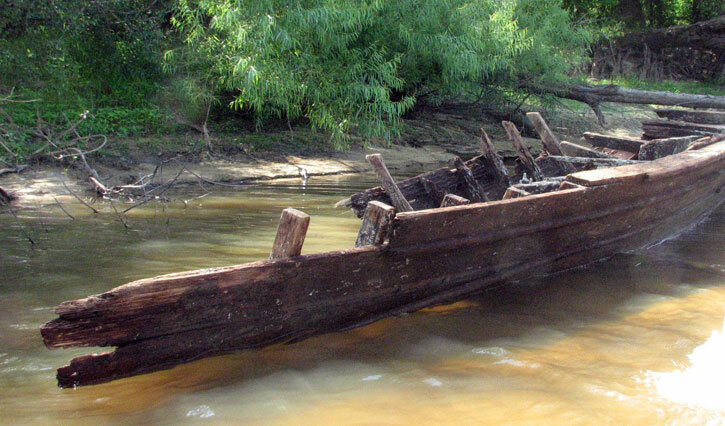 It is possible also that some of those adventurous and enterprising colonists in the Carolinas and in Georgia, who having come to a New World, loved to seek the most remote wilds, had reached the banks of the Alabama before the commencement of the colonial struggle for independence. But records seem to be wanting. In the year 1777 an English botanist, William Bartram, visited the settled parts of West Florida. He found on the Tensaw river many well-cultivated plantations, on which settlers were then living. His route both going and coming seems to have been on the east side of the Alabama. From him, therefore, nothing is learned concerning settlers on the west side. Cool. Wish I lived in Pensacola when it only had 180 houses! 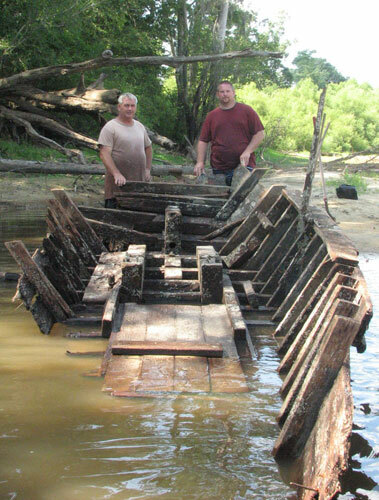 How are they going to preserve the boat. 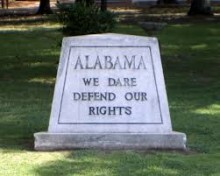 It needs to be studied and placed in the Alabama Department of Archives and History building. Some of those 180 Pensacola homes are still there and the universities are uncovering more in their frequent archeological digs. Very interesting city! The McLeods of Clarke were among those royalist highlanders fleeing the Carolinas. But what we can do is: connect as a Unit… or stand for all fake believes in what American stands for today!! Love peace & togetherness… should be the new Mono!! wake up America before its to late..
Take a good look at that boat. Now how old is it?